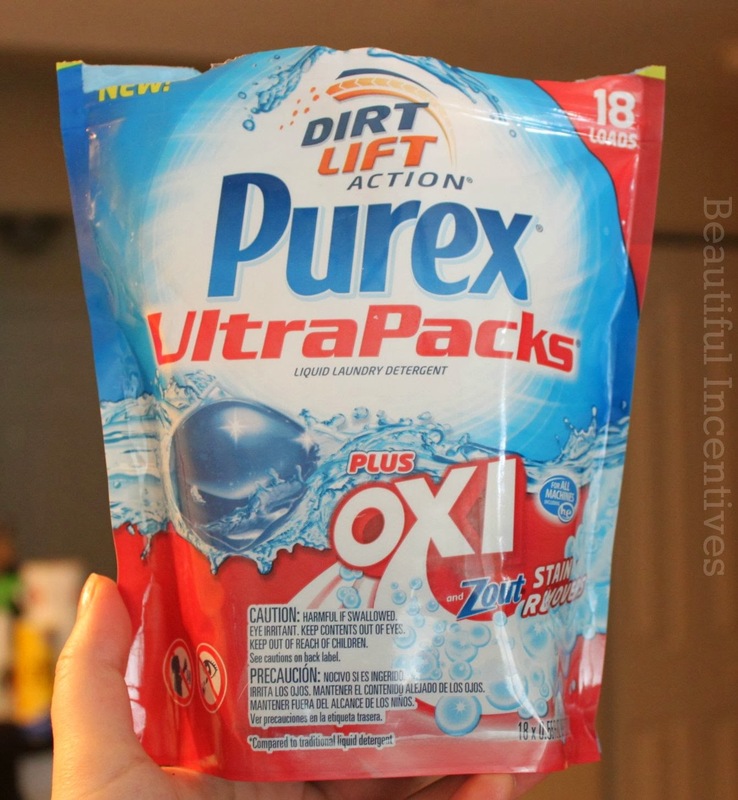 Beautiful Incentives: Purex Ultra packs Plus OXI stain fighting detergent. Small packs, big rewards. Purex Ultra packs Plus OXI stain fighting detergent. Small packs, big rewards. This article is sponsored by Purex through the Purex Insider program. All opinions are 100% my own. Have you tried out the new Purex Ultra Packs plus OXI Detergent yet? 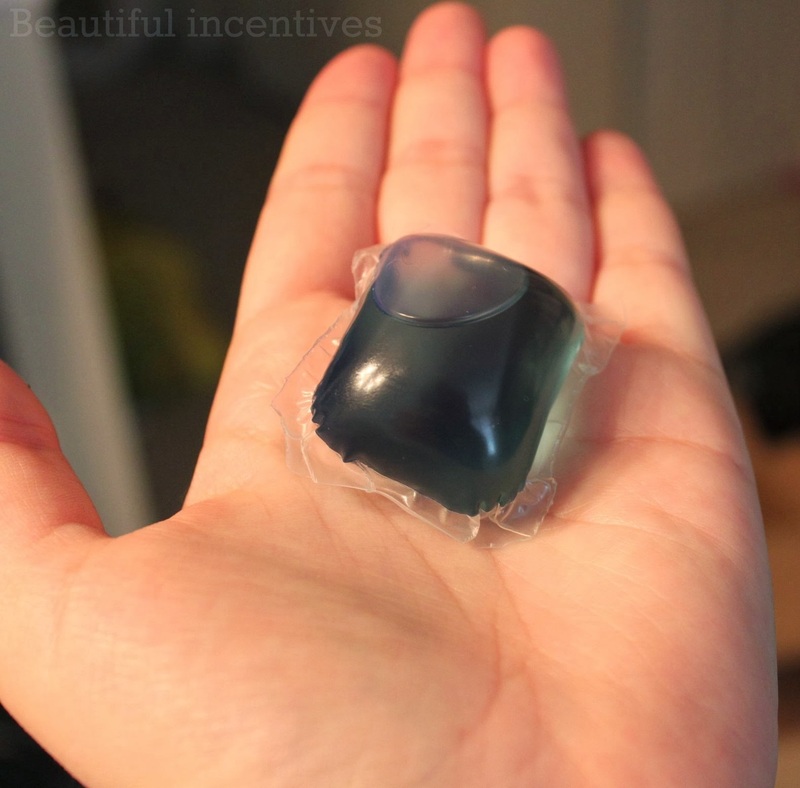 They're pretty convenient and nifty being that they come in small little tabs that you can just throw into your washer. I love these. They eliminate so much fuss over lifting heavy detergent bottles, messy spills and using too much detergent in one load! I have a bad back and anything that makes my grocery load lighter is fine by me! Aside from their adorable size, they really deliver. It must be that added oxi because I had a few stains that came right out in one wash, whereas before I would have to do multiple washes with a stain stick. Purex Ultra packs are so easy to use, you just throw them in your wash and dissolve instantly. One little tab actually gets a lot done too. Small size, but a big reward. Ultra packs use the stain fighting power of oxi and it shows. I also love the way it smells. Not too strong but not at all too light. * Keep away from small children-toxic* Purex ultra packs are not to be tampered with, punctured, wet, opened or obviously eaten, before use. Please be careful when handling these. Though with caution, you might get a kick out of trying to see if you can throw it into the washer from far away like I did. I make a little game out of it to make laundry more fun. It's the little things right? Purex is holding a giveaway for your chance to win $50. 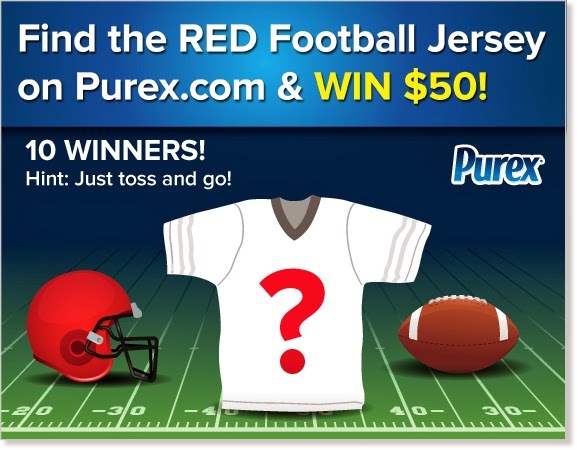 In celebration of football season upon us, they want you to search their site for the hidden Red Jersey and then click on it to enter! Good Luck! I will also be holding a flash giveaway soon for two people to win a coupon for a free bag of Purex Ultra Packs plus Oxi to try yourself! Learn more and keep up with their many promotions on Facebook. I am excited to try purex ultra packs plus oxi. Thank you!